Get ready! 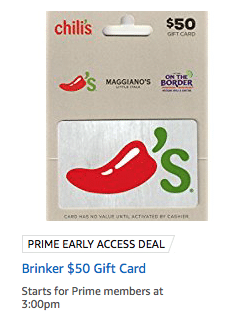 Today at 3 pm est Amazon is offering up a discount on $50 Chili’s gift cards! If you haven’t eaten at Chili’s lately, check them out! 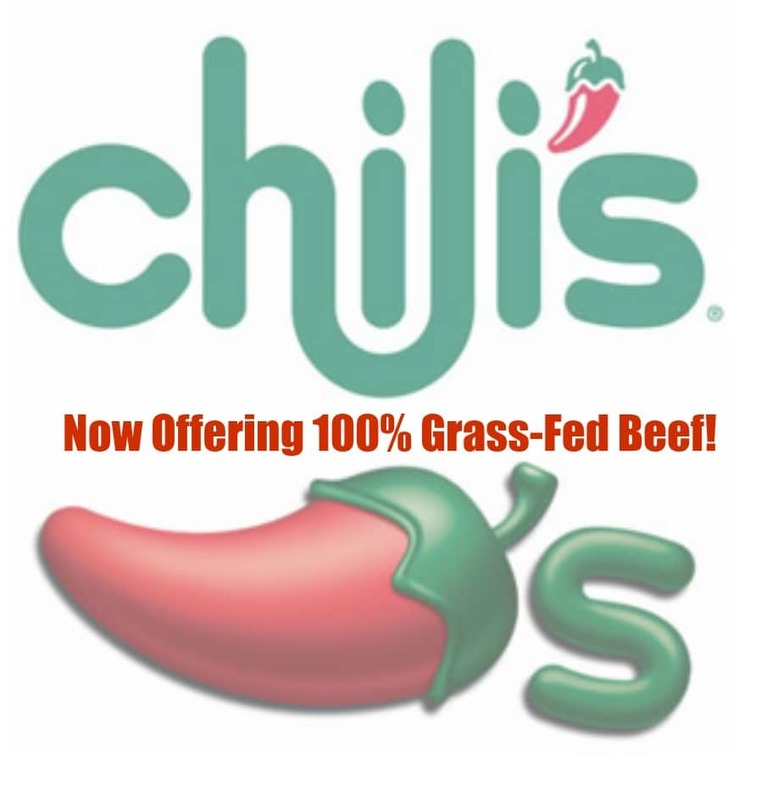 They now offer 100% grass-fed beef patties, cage-free eggs, made from scratch guacamole and fresh veggie options. It’s not known until the deal goes live how much the discount will be, but it’s usually a 10%-20% discount and they usually sell out within a minute or two! So, Prime members, the deal goes live for you at 3 pm est so go here at this time to grab it. If the deal doesn’t sell out, the deal will be available for non-Prime members at 3:30 pm est. Good luck! Let us know if you get one! If you can’t view the deal, try accessing it from a laptop or desktop.